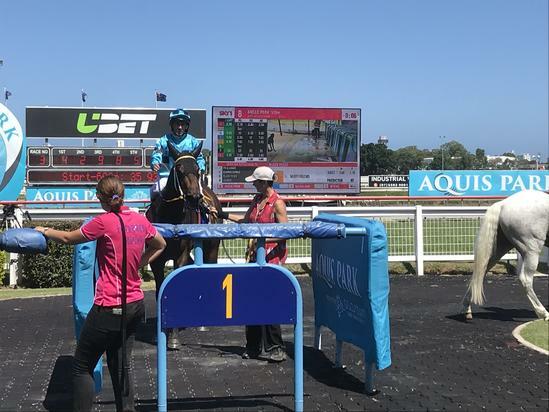 Absolutlypositivly stepped out today at Aquis Park at the Gold Coast Turf Club looking to continue on her winning way and book herself a shot at a Black Type race over the summer. The daughter of Sepoy proved she was right on track with another impressive win in the Chinese New Year 17th February Class 2 Fillies and Mares Handicap settling just off the speed before being eased to the outside by jockey Chris Whiteley and unleashing a strong finishing burst to score in an impressive time of 1:09.45. Absolutlypositivly was having her second run since resuming from a spell and has certainly returned a stronger filly and the addition of earmuffs has brought out the best in her.